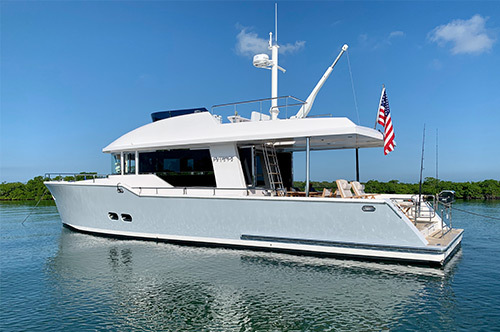 The recently completed Offshore 80' Motor yacht has just departed the factory and is scheduled to be commissioned here in Ft. Lauderdale next month at Marina Bay on State Rd. 84. 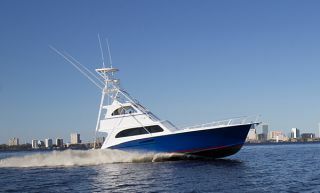 We encourage Offshore fans to come see why Offshore Yachts offers the most complete inventory of factory standard features than any other manufacturer in our category. 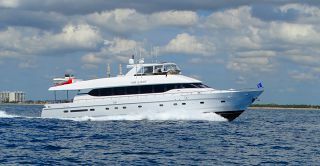 Unlike some ala carte builders who offer so called "cruise away" lower prices, the reality is that our option list is relatively short, and for good reason....no surprises after the signing of the contract and the start of the build. 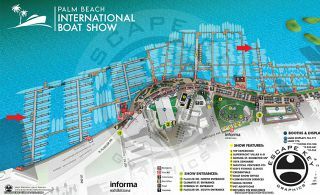 In the "Did you know" category, Offshore pricing includes freight, duty & commissioning, plus an interior decor package allowance as well! In addition, the standard SeaTorque enclosed shaft system reduces noise, vibration and improves efficiency. 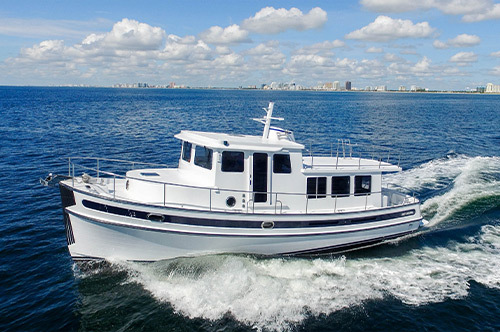 Not having to add both bow and stern thrusters, two gensets, Nautical Structures, dinghy davit, ABT stabilizers, and a long list of other included equipment will make the choice of Offshore a very sound one indeed. 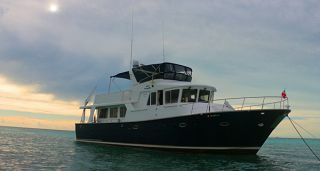 See why our 80' motor yacht has 7 pages of standard equipment included, and only 2 pages of optional equipment to choose from....In short, compare yacht for yacht with the same equipment and you will easily see why Offshore Yachts are the highest quality, best performing and equipped designs in the category. 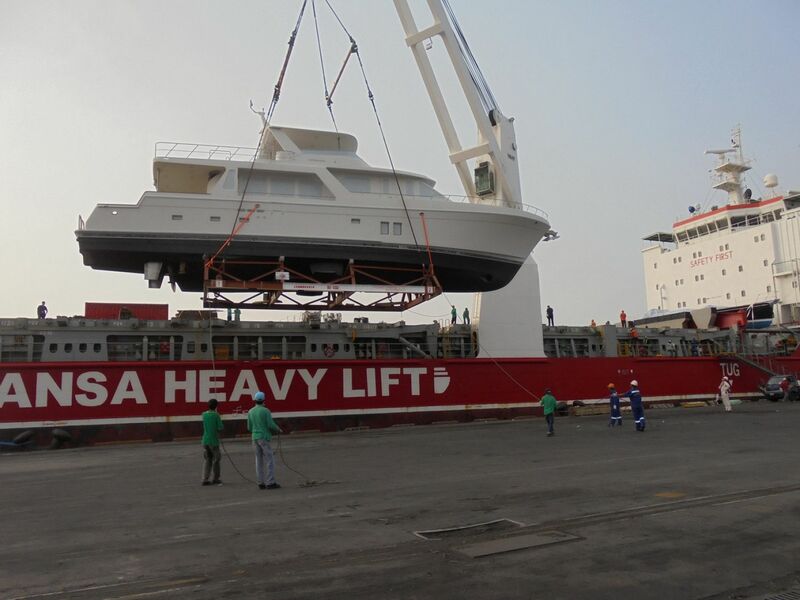 Have you ever built a yacht in a foreign country before, or have a fear of sending your hard earned savings half way around the world in progress payments? Fear not, not only is the builder a well funded successful construction facility, but they allow the use of a commercial letter of credit to fund the project. 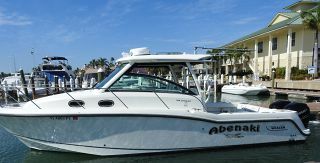 After a cash down payment, use of the letter of credit provides you the ability to keep your cash with your financial institution until the boat is built and shipped. Then the funds are released. This protects all parties in the transaction. You keep your funds close, while it is a guaranty for the builder that when they perform, they are guaranteed payment. 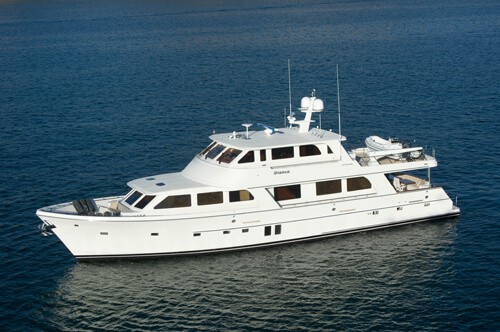 Offshore West and its President, John Olson, has experienced over 200 new builds, insuring each and every client that their choice and expectations will be met thru the build, commissioning, and final hand off…Remember, we are committed to delivering the lifelong dream, not the nightmare of a frustrating new build! 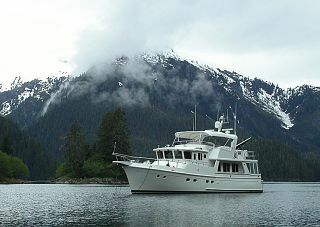 Offshore's recent 76' new order (hull #33) is for an existing Offshore owner who will take delivery of his third Offshore. 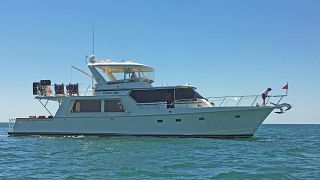 His previous boats were a 48 Sedan, 52 Pilothouse, and now the latest 76' Motoryacht...Now that's brand loyalty that we really appreciate! 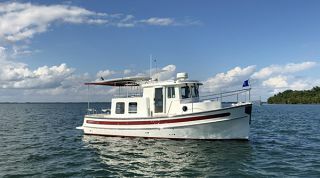 Also, look for progress reports on the new 62E model (Hull # 100) which is the latest version of the 62 with 8" more freeboard, engine room height and easy access stairway from the cockpit....Something that 62 owners have been asking for at recent boat shows. 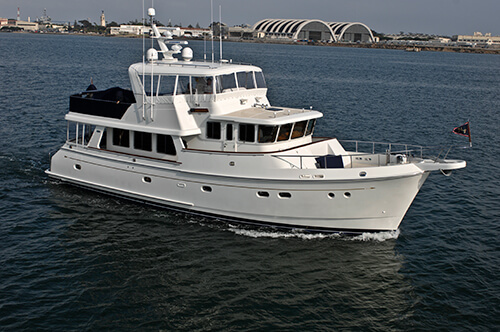 Don't forget to contact Luke Brown Yachts to set up a visit to the new 80' Offshore that will be in Ft. Lauderdale in May for commissioning.